Are you looking for an excellent gift to give to the photographer in your friends circle or family? Or perhaps you want to say thank you to the person who captured one of the most important moments in your life? If you’re on a tight budget, you can take advantage of this extremely cool gift. Many photographers are often on the go. And a nice cup of coffee is their best friend. 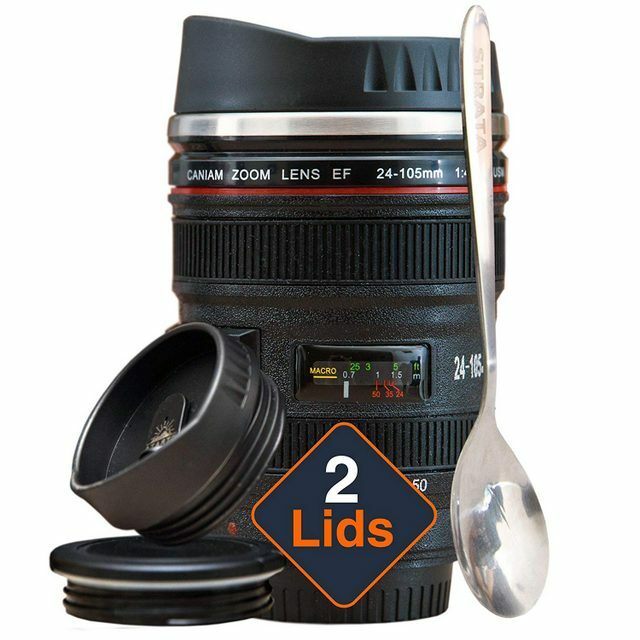 A lens cup pays tribute to their profession while allowing them to enjoy something tasty while out on the field or in the studio. And with most doubling as a thermos, it’s a really practical gift, being able to keep liquids hot or cold when out on a long assignment. Pro tip: Photographers are often very loyal to their favorite brand, so try to find out which camera model (Nikon or Canon), they prefer, and buy the cup that matches. 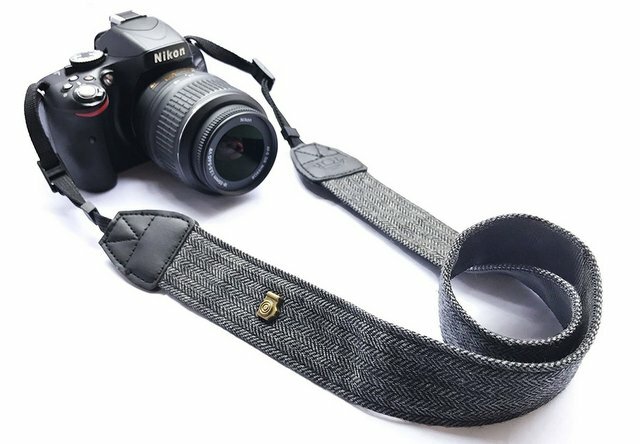 We talked to many photographers but only Araman from AramanYC.com gave us a definite answer to the question of what type of camera strap a photographer needs. It should be wide, durable, and compatible with the camera. This does mean that gifting straps will require you to go on a stealth mission for some undercover research! It’s up to you to find out which camera your photographer uses, and look for the best strap. You can get straps for every camera, from massive DSLR’s, to the best point and shoot camera under 200. Don’t limit yourself to just one strap either. If you have the cash consider ordering an assortment of different straps so the camera holder always has a choice. 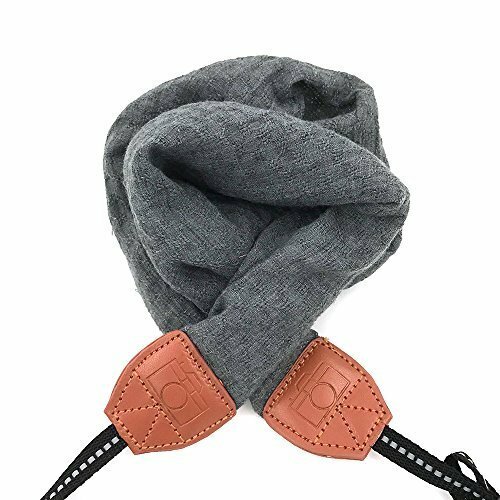 Does your friend like cool stuff and want to feel comfortable while taking photos? They might enjoy a spider holster! 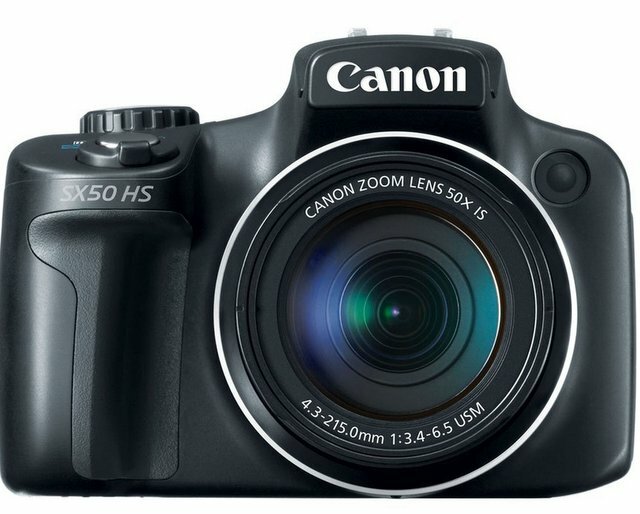 This is a wonderful fit for the majority of professional cameras, though not a lot of photographers think to buy one. It doesn’t interfere with the shooting process and means the photographer doesn’ty have to worry about the safety of the camera. The holster is held by the quick-release belt, making this gift truly convenient. The camera is well secured inside the holster to give the photographer maximum freedom of movement. This is a very practical and cool gift! We bet your photographer doesn’t have one. Meanwhile, National Geographic Magazine features photos made by the best photographers on the planet, making it a grand source of inspiration. The subscription is one of those gifts a person is unlikely to purchase on his or her own but will be very glad to get. 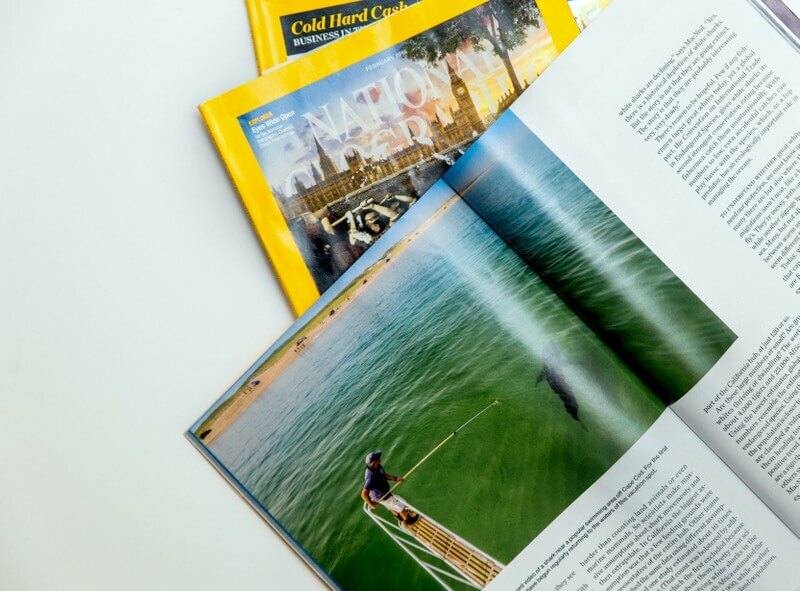 Another cool gift is the ‘Complete National Geographic‘ which is a complete archive of every issue ever published since 1888. The great thing about this gift being that you can search for a topic or destination and instantly have access to all Nat Geo stories published on your computer. Camera cleaning requires a special approach and many different accessories. Newbie photographers often overlook the need to keep their equipment clean. As a result, they have to re-take many photos botched by the dirty lens or slippery camera. 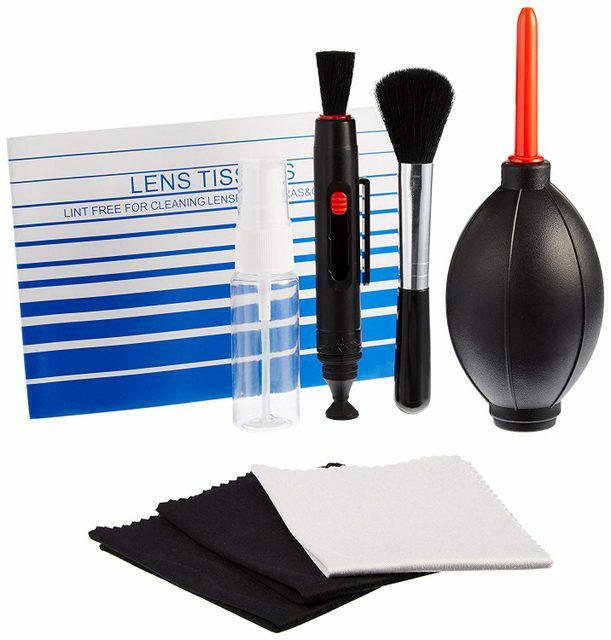 Lens cleaning tools, an air blower for delicate parts, bottle sprays for different cleaning solutions, and more can help your friend take good care of the camera at home or on the road. 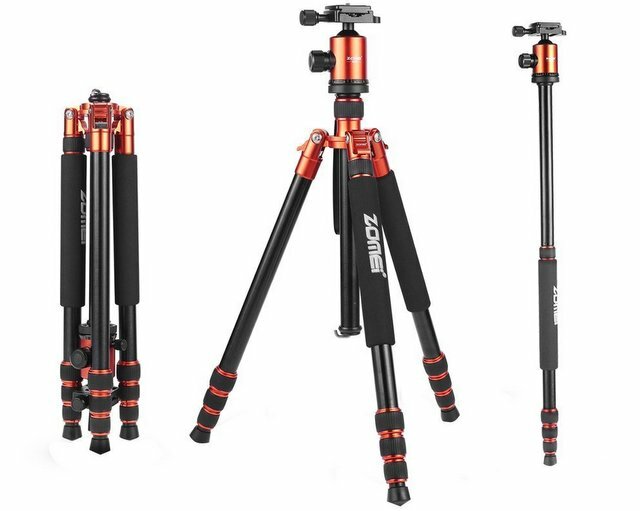 Consider buying a compact kit so the photographer can take it to an outdoor session. If you’re struggling for a gift because they have everything for their camera, think about buying a case for their phone. Smart phone photography is a growing trend among photographers nowadays, especially among those who focus on macro photography, or influencers who publish their images live. In fact, a recent National Geographic photographer was sent out to shoot the cover image on an iPhone. But when you’re out in the field and photographing different environments it’s important to a solid phone case. For something beautiful but also durable go with leather. 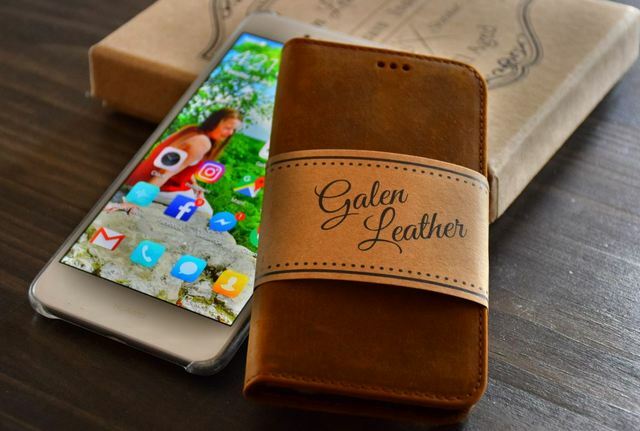 You can get a phone case handmade from Galen Leather. A portable photo printer is a cool gadget which a photographer can take anywhere. While professional photos require a high-quality printer, this device can be irreplaceable at parties, airplanes or safaris. The photographer can share printed photos with friends, passersby or anyone else by clicking a button. 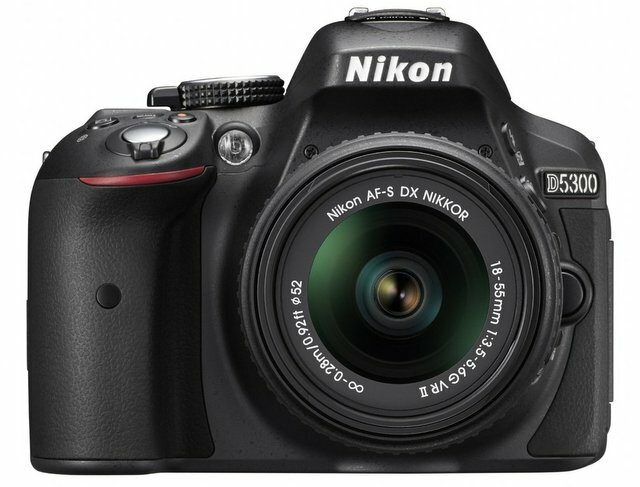 Use this gift guide to find the perfect gift idea for a photographer / camera operator! I vote to keep that off the list, unless you are certain it would work. 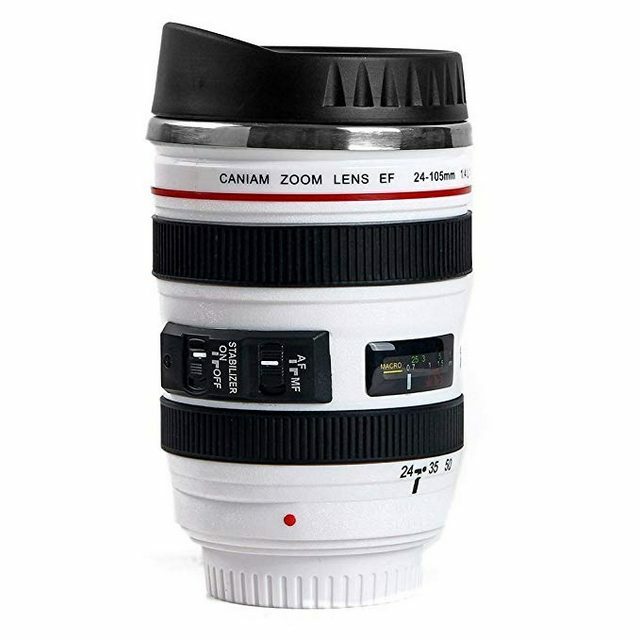 Love the camera lens cup, what a cool idea! I know it spoils the surprise, but most photographers do already have a lot of their essential gear, or they have brands they don’t like, so if you’re thinking of gifting something expensive I would probably say it’s safer to ask them what they want or need. Otherwise if all else fails, I don’t know a single photographer who hasn’t always needed more SD cards. Not as flashy as other gifts, but very practical and saves them money. SD cards are a great idea though for a practical gift they’ll definitely use. Nat Geo subsctipion is a brill idea. Cheers. Lol I’m not going to lie I had no idea what a spider holster is – the only one you didn’t have photos of too. I clicked on the Amazon link though, and makes sense! Waterproof camera casings are also a fun idea, or if you know they have a GoPro I like buying GoPro accessories, they’re pretty cheap and can be a lot of fun. 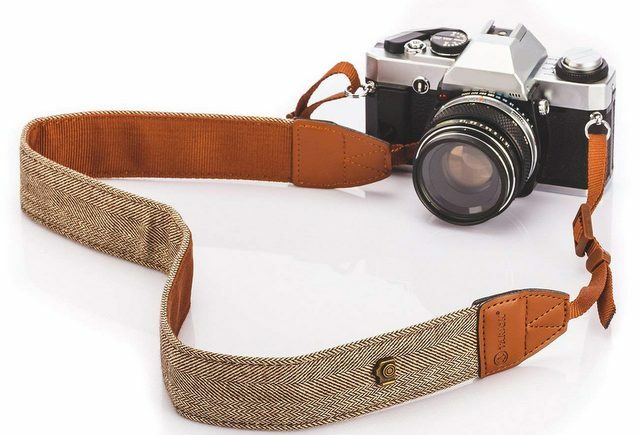 Thinking I might buy a few of these for myself, I could definitely do with a new camera strap. Thanks for the inspo. I can always do with a new camera strap, mine get quite the use! Love! I had no idea you could get an archived version of National Geographic on a harddrive, that’s a great idea! Much better than the actual subscription, though I do think I have stacks of dusty copies in the basement somewhere. As much as I love flipping through real pages, sadly magazines don’t have the same lasting power as digital information does. The lens cup is clever. 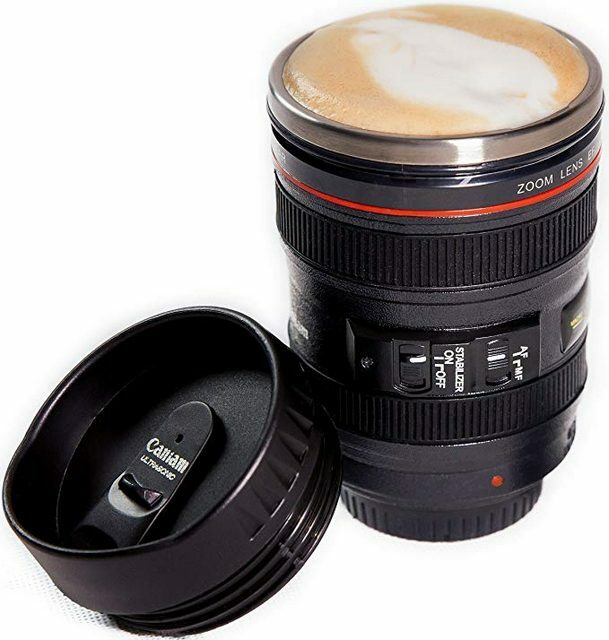 Just don’t forget and go to screw a mug full of coffee onto your camera body! They do look quite real don’t they. Haha yes that wouldn’t be good! Add to your list camera roll toilet paper. It’s an actual dispenser box that you put the toilet paper roll in, and it looks like an old roll of film. It’s a hoot! Sounds fun, thanks for the tip! So many cool ideas here, I think often the simplest and most practical gifts are the most well received, something like a world wide travel adaptor is a great gift if the person travels a lot, obviously you need to charge equipment and batteries all the time. The cleaning kit is a good suggestion. Great ideas here.